servicing couples in Florida + New York City . Hello there! My name is Ashley Aguilar and I am the Co-Owner and Creative Director for Cherish Events. The wedding + event industry is high paced and always changing which is something I absolutely love! I wouldn't be able to do this without my secret weapon... and that secret weapon is laughter... and Lauren LOL. I love traveling, cooking, dancing, Disney days and the Florida sunshine. There is no greater time to me than getting to spend it with my friends and family. I graduated from the University of Central Florida with a Bachelors degree in Hospitality Management focused in Event Management at UCF's Rosen College of Hospitality Management. One of my most favorite moments in a wedding is not only the perfectly timed toasts, or the first dances. It is that moment when all of the formalities are done and I get to see them enjoying their night as a family. When you hire us to be a part of your wedding, know that we consider it an honor and will treat it as such. I am a collector of moments and I look forward to creating beautiful memories with you! Hey! 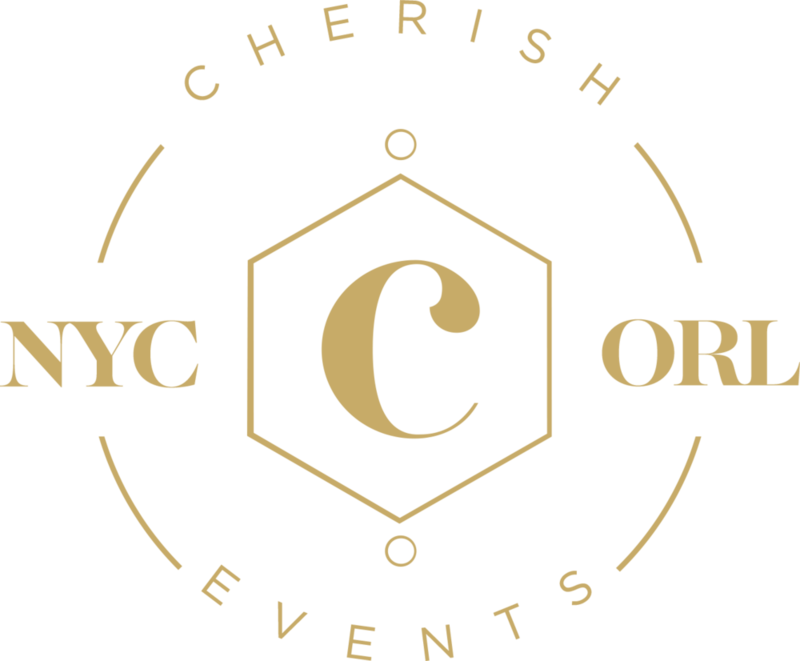 I’m Lauren Gordon, Co-Owner and wedding planner for Cherish Events. So who am I? I am a lover of Christ, a wife to an amazing husband, a daughter, sister, friend, athlete, traveler, and cat lover. If I am not planning an event, I am either running the trails or traveling the world with my husband. I love singing (I can actually sing lol), running marathons (Disney especially! ), or hanging out with my family and friends. So why do we travel to NYC for weddings? Well, simply because I LOVE NYC ... from the energy, to the views, and the bottomless brunch spots! My husband (Brooklyn native) and I are there frequently. When I am not planning an amazing event there, you can find me running in Central Park, catching a show, or trying a new restaurant. Through Cherish Events, I am the girl who you will find working on contracts, timelines, and checklists. With a focus on client service, I aim to provide personalized attention throughout the planning process. I will use my organizational skills and calm demeanor to make sure everything is executed flawlessly. Being a part of your most important moments is special to me, I look forward to making it special for you! At family gatherings, I am THAT person with the camera snapping photos to preserve memories for the hosting family. I love seeing the emotions flowing when families get together whether it's weekly for Sunday dinner, annually for family reunions, or for major life events like a birth or a wedding. Being a part of something as special as bringing two lives, two families, two worlds together is a beautiful experience. As a coordinator, I feel my role is to allow brides to immerse themselves in the beauty and love of one of their most memorable days while making sure their image of that day is brought to life. As a native Floridian I enjoy all things beaches and sunshine. I spend my free time with my husband and 2 little ones…at the beach if possible. I was born and raised in the Central Florida area and after graduating from The Florida State University, I moved back to Central Florida where I created my own little family. Working with Cherish affords me the opportunity to do something I love over and over again; and that is to watch a different fairy tale unfold, each time with its very own twists, turns and happy endings. active children, an artist, and a world traveler. I have been a missionary almost half of my life and have had the opportunity to travel all over the world. When I am not coordinating weddings I love to get lost in the world of watercolor & calligraphy. My big role here at Cherish is creating custom signage and detailed pieces for bride's. I love taking your Pinterest finds and making them uniquely yours. I enjoy creating hand painted watercolor and pen pieces and finding beauty in everyday things. I am a lover of culture but especially of making all things beautiful. Hey! I'm Jen. I'm married to my high school sweetheart, Mike and the mom to my dinosaur loving son, Brayden. I am also the mom to a French Bulldog named Bentley. I enjoy spending time at home with friends, family and a glass of wine. I have a serious passion for decorating and organizing, which oddly enough is very therapeutic to me. Most of all, I love the design element that goes into planning the perfect wedding. In college, I studied interior design and love to bring that aspect of my personality and skill set into creating the perfect space on your wedding day. My favorite moment on the wedding day is when the bride and groom see the room for the first time. We like to call this our "David Tutera moment." This is where we get to see all of the excitement on the couples face during their room reveal. We like to bring their photographer into the mix at this time to capture this special moment. There is no greater feeling for a planner than to see everything the couple has worked so hard to create, come to fruition. I am so excited that you are considering us for your big day!